We’re committed to putting an extinct snail species back on the map in its native Tahiti. But first, we’re putting it on the zoo map. 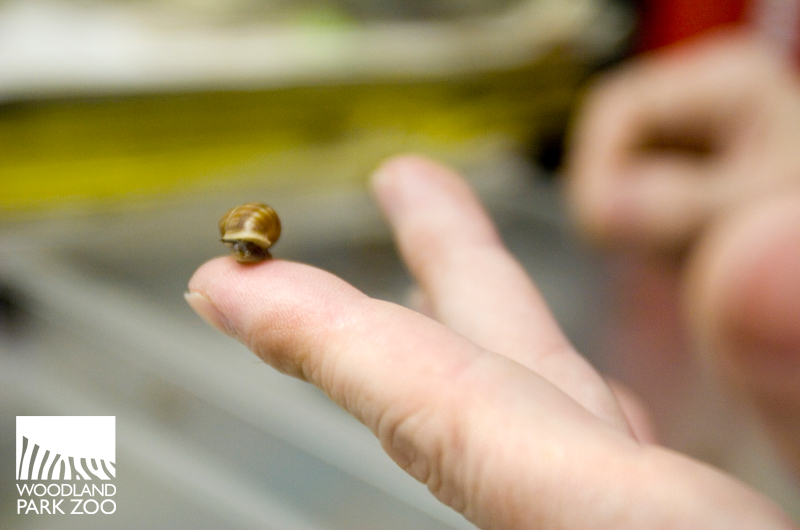 What was once a behind-the-scenes conservation breeding program is now front and center for zoo visitors with the new snail lab on view near the zoo’s Bug World. VIDEO: Extinct species making a comeback in Seattle. Produced by Ryan Hawk/Woodland Park Zoo. Around 100 different species of Partula once existed on islands stretching across the South Pacific from Palau to French Polynesia, but due to the introduction of an invasive and carnivorous snail, Partula were reduced to about five species in less than 10 years in the 1980s. Before they vanished completely, scientists stepped in and collected small remnant populations of snails on the islands and sent these precious few to zoos for captive breeding. 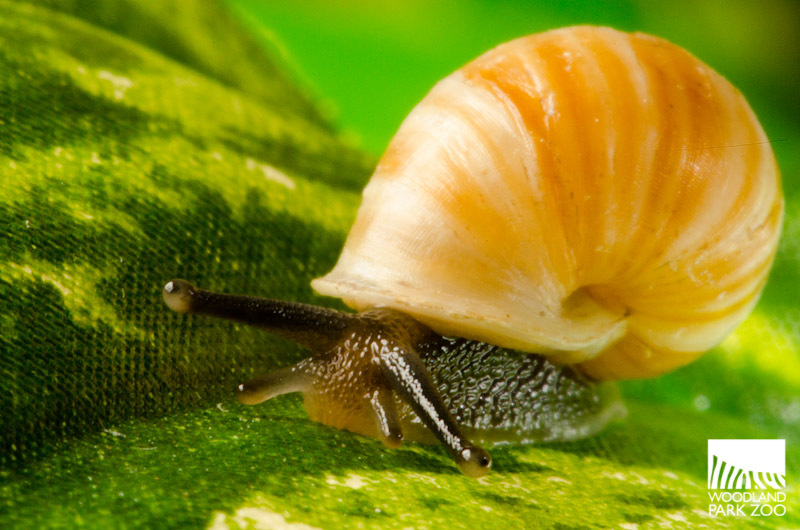 However, a survey conducted in 1987 on the island of Moorea could not locate a single living snail. Photo by Emily Schumacher/Woodland Park Zoo. Unlike a typical brown garden snail, which lays hundreds of eggs each year, Partula give live birth to a single offspring every four to six weeks. Newborns are about the size of the tip of a ballpoint pen and are very slow growing. Partula can live up to around five to six years. Thanks to the collaborative efforts of zoos, plans are underway to reintroduce Partula nodosa back to Tahiti in the next couple of years. The wildlife preserve, an approximately 20-meter square protected site, might just be the smallest wildlife preserve in the world, according to Sullivan. The new Partula lab is visible to zoo guests during zoo hours. Guests can view the snails and the room where keepers could be preparing food, conducting a monthly census or cleaning out snail enclosures. Beyond the lab, Woodland Park Zoo works to save these snails by supporting the Partula Recovery and Reintroduction Project through our Wildlife Survival Fund program. The recovery project's goal is to preserve and enhance the survival of all surviving endemic tree snail species of the family partulidae within their natural range in French Polynesia, and to re-establish, where feasible, the 11 species that currently exist only in the international conservation breeding programs like ours.